The Light source, that in this case are LEDs, going through matter, gives a nice sensation and creates around it a faceted and very brilliant luminosity. 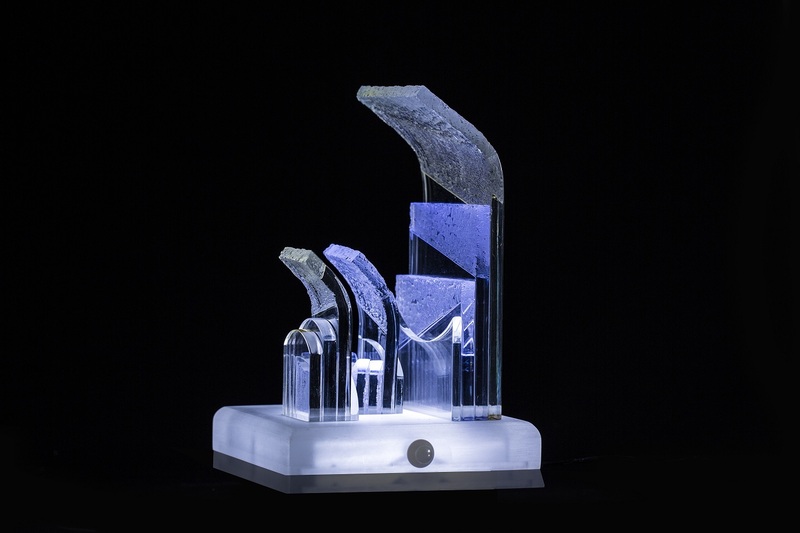 The represented models are realized with "Perspex" (Plexiglass) and facets completely made by handicraft. The support base is realized with natural coloured wood.